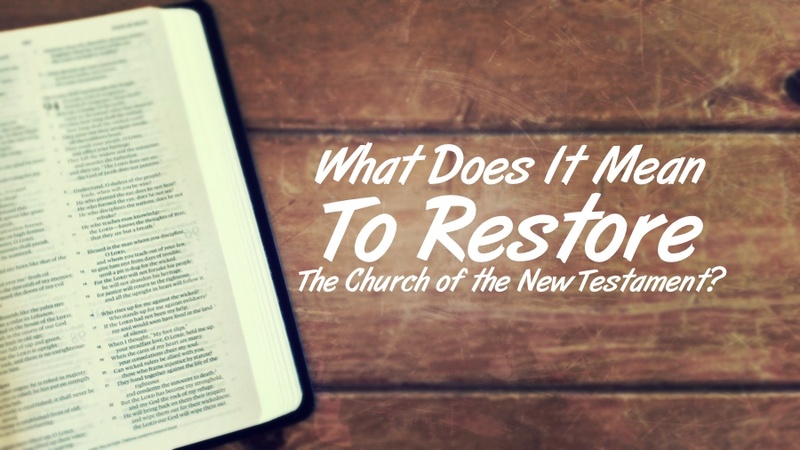 What Does it Mean to Restore the New Testament Church? Before I talk about restoring the New Testament church, I want to define the terms. Jesus, the Son of God, came to earth (see John 1:1-14). He chose apostles (see Matthew 10). He taught and modeled a perfect life in the presence of His apostles (see Hebrews 4:15; 1 John 2:1-6). He ascended up into heaven and sat down at the right hand of God (see Acts 1:9; Hebrews 10:12). He sent the Holy Spirit – on the Day of Pentecost in the city of Jerusalem – to empower His apostles to do miracles and teach the world what it means to be a disciple of Jesus (see Matthew 28:18-20; Mark 16:15-16; John 16:13; Acts 2). 3,000 people became forgiven disciples of Christ on that day, by being baptized into Christ (see Acts 2). These new disciples – or Christians as they were later called – devoted themselves to the inspired teaching of the apostles, so they could learn how to follow Jesus (see Acts 2:42). The apostles – directly led by the Holy Spirit – went around the world teaching people everything they needed to know about living a Christian life (see the books of Acts-Revelation). The New Testament is a collection of Holy Spirit inspired writings that tell this story and everything mankind needs to know to be a follower of Jesus Christ (2 Timothy 3:16-17). The word “church” is translated from the Greek word in the New Testament, “ekklesia,” which means, “assembly.” It refers both to the world-wide body of all Christians (Ephesians 5:25-27) and to the single local “assembly” of Christians (Acts 11:22). The book of Acts is a historical record of how Christianity spread and churches were established throughout the known-world. The New Testament epistles were written mostly by the apostle Paul and written mostly to local churches. These letters contain Jesus’ instructions – through Paul – about how these churches should function. They contain explicit and implicit instructions about collective worship, church leadership structure, church discipline, and many other issues with which these first century churches dealt. The New Testament paints a very clear picture that the church is the bride of Christ (Ephesians 5:25-27), the body of Christ (Romans 12; 1 Corinthians 12), and Christ purchased her with his blood (Acts 20:28). He cares very much about how the church functions when they are assembled together and when they are living their individual lives. When instructions are given to any group of people, there will inevitably be deviation from those instructions. This happened in the first century church. Christians deviated in small and large ways from the instructions they had originally been given by the apostles. A good portion of Paul’s writings were devoted to correcting these deviations and getting churches back on track (see 1 Corinthians 11:20-23 and Galatians 1:6-9). In every generation, to keep people from deviating – and to restore them when they deviate – men of God must, “Preach the word; be ready in season and out of season; reprove, rebuke, and exhort, with complete patience and teaching” (2 Timothy 4:2, emph. mine). Over the centuries, there have been numerous deviations from the instructions of the New Testament. Some of these deviations have been in theological doctrines, some have been in worship practices, and some have been in what is seen as acceptable Christian behavior. The answer for correcting these deviations is what it has always been, preach the word and bring about restoration. What Should be Restored and What Shouldn’t? Of course this presents several difficulties. Not the least of which, is separating the practices which were incidental to the first century church from those things which the Lord meant for His church to practice until the end of time. I believe this is possible. And I believe the Lord expects us to do this. He has given us His word as a guide and a mind to reason through every issue. Many argue, however, that we shouldn’t even try to restore the practices of the New Testament church. They argue that all of those instructions were specific to the Christians of that time and have no application for us today. I would like to ask, “If the instructions given to the first-century church are not applicable today, how can we be sure that anything from Scripture is applicable today?” If we shouldn’t teach New Testament worship, then why should we teach New Testament salvation through Jesus Christ? 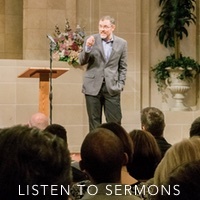 The New Testament may have been written to other people under other circumstances, but if we cannot make some sort of application of all of it, then we cannot make application of any of it. We cannot treat the New Testament as a smorgasbord, taking the things we like and leaving the things we don’t. We must use the logical and reasonable mind that God gave us to determine in what way every passage of the New Testament applies to us today. People also argue that the New Testament church wasn’t perfect, so it shouldn’t be used as a pattern for today. Obviously, as was pointed out earlier, at times the first century church deviated from their original instructions and needed restoration. It isn’t their deviations after which we should pattern ourselves, but after the inspired instructions they were given by the apostles. Restoration isn’t just about restoring the practices of the New Testament, it is also about restoring the principles of the New Testament. Deviating from the New Testament’s instructions on love, joy, peace, patience, kindness, goodness, faithfulness, gentleness, and self-control (Galatians 5:22-23) are greater sins than deviating from the New Testament’s instructions on worship practices. That is not to say that either can be neglected without consequence. We must pay careful attention to ourselves and allow ourselves to be admonished and restored when we deviate in any way. When Will Restoration be Complete? When can it be said that we have successfully restored New Testament Christianity? The answer is, as soon as we all stop deviating from the instructions of the New Testament. And I don’t know about you, but I’m involved in a constant battle to restore my own heart, mind, and practices to what they ought to be. I’m thankful for the grace of God, because I’m a work in progress; the restoration of my life is still ongoing. Restoration is both an individual and a collective pursuit. May we never stop preaching the restoration of biblical principles and biblical practices in every area of our lives. May we never stop doing our best to “walk in the same way in which he walked” (1 John 2:6) and follow the apostles, as they followed Christ (1 Corinthians 11:1).